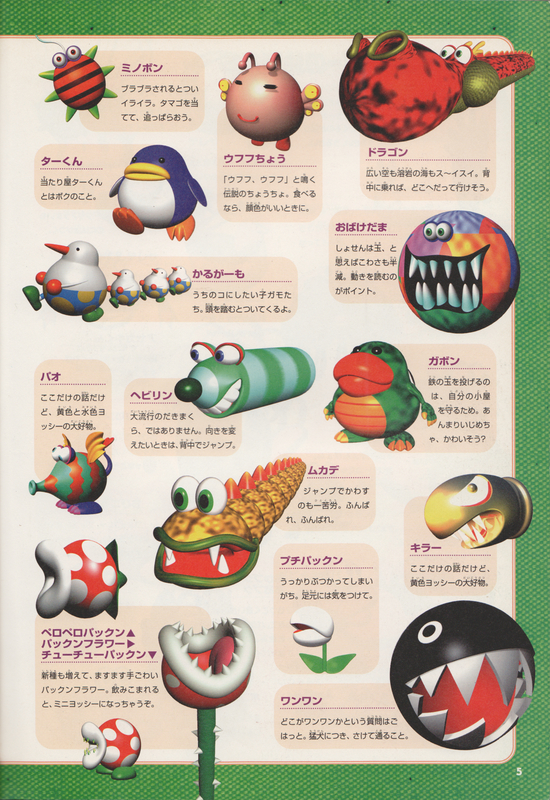 Puffers are creatures who inhabit Blargg's Boiler in Yoshi's Story. One also exists in the Magma Castle. They seem to be a cross between an elephant and an insect. They shoot balls of energy, which tend to light up the place. They are a favorite food of Light Blue and Yellow Yoshi. This page was last edited on April 15, 2019, at 17:23.